The XPS 13 convertible is returning next month with refreshed Intel 8th gen Y-series CPUs. Dell will be sticking with the same design, but they have suggested that the series has been successful enough that a full refresh will almost surely happen sometime down the road. 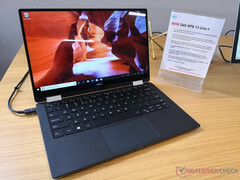 The Dell XPS 13 2-in-1 or (XPS 13 9365) is almost two years old and Dell is now finally ready to refresh its fanless convertible for a launch on September 11. 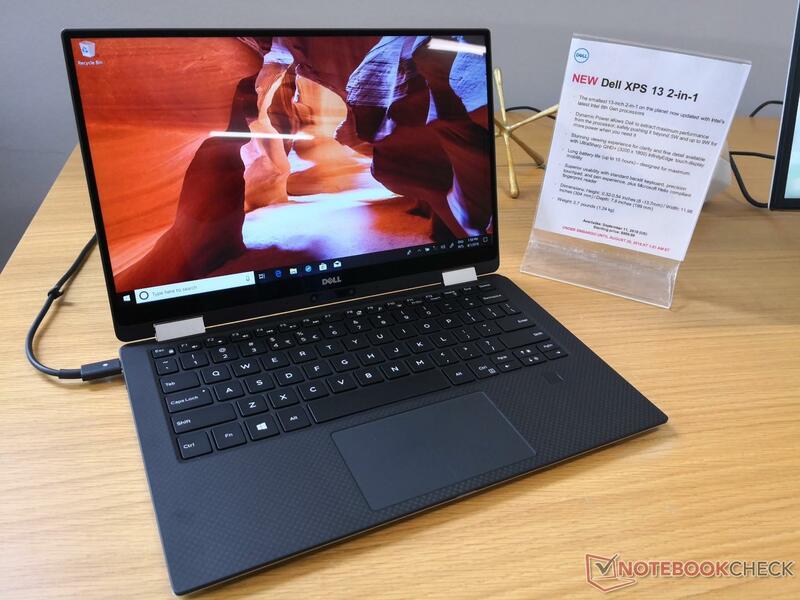 Unveiled at IFA 2018, the new XPS 13 2-in-1 confirms earlier rumors about an Amber Lake update for the series. The system will be shipping with new Intel Core i5-8200Y and i7-8500Y CPUs to complement the already available Kaby Lake Core i5-7Y54 and i7-7Y75. Other than the SoC swap, however, we can expect the exact same XPS 13 2-in-1 chassis as before. Features such as Dynamic Power for temporarily pushing the 4.5 W TDP SoC up to 9 W will return along with the awkwardly placed webcam. Touchscreen options will again be limited to FHD and QHD+ even though the 13.3-inch XPS 13 has had 4K UHD options since at least 2016. One of the biggest gripes about the XPS 13 2-in-1 is its limited performance. 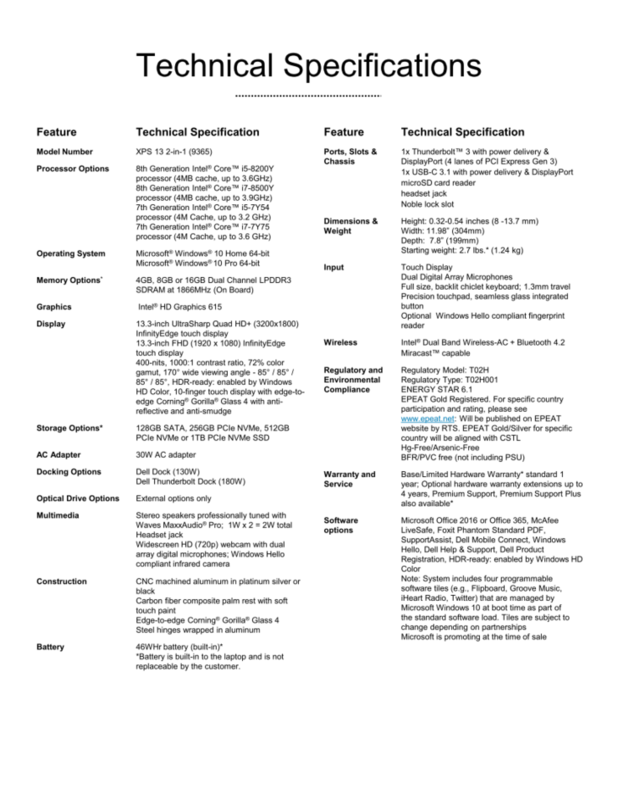 The 15 W Core U-series of CPUs found in many inexpensive Ultrabooks offer at least 30 percent faster performance than the passively-cooled XPS 13 12-in-1. Dell says its decision to stick with the Core Y-series for the XPS convertible was due to the very small form factor of the system. Nonetheless, a move to the Core U-series could come in the near future when a full-on redesign should be ready. Until then, expect the new Amber Lake XPS 13 2-in-1 to launch next month for a starting price of $999 USD. See our full reviews on the original XPS 13 9365 2-in-1 for more information on the chassis and its performance.